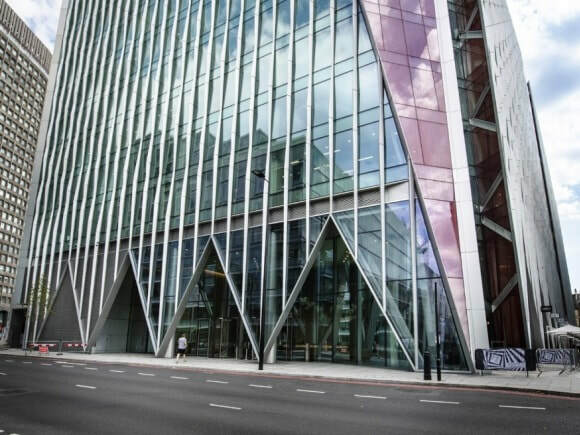 The Nova Building serviced office is an inspiring piece of modern architecture that has a glass panelled exterior finish. Situated close to Victoria train and tube station, this office space location has excellent transport links around the capital and beyond. The property has a stunningly spacious entrance lobby with seating areas and lifts that access all floors of the building. Once inside the business centre, clients can be welcomed to the property by a professionally staffed reception that is manned at all hours during the working day. Boardrooms and meeting rooms can be hired onsite and a comfortable lounge can be used when required. The actual offices for rent are available in a choice of sizes and are furnished to a high standard. For companies that are looking for room to expand their capacities, this option is ideal as there are numerous suites within the building. Fast broadband speeds can be achieved at this office rental and multiple phone lines can be connected if required.